About Dr. Anders Nerman, N.D.
Dr. Anders Nerman, N.D. is a Canadian-trained, board-certified Naturopathic doctor with a family practice in the Wolfson Family Medical Center in Jerusalem, Israel. Dr. Nerman graduated in 2012 from the Boucher Institute of Naturopathic Medicine, one of six accredited naturopathic colleges in North America. 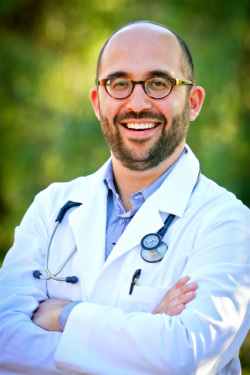 Dr. Nerman is a board-certified naturopathic doctor with the North American Board of Naturopathic Examiners (NABNE). Dr. Nerman's prior undergraduate education includes Biological Science at McGill and York University, Canada. Dr. Nerman promotes evidence-based natural integrated medicine with a focus on preventative medicine and nutrition. Dr. Nerman has a focus in the treatment of digestive disorders such as IBS and SIBO, food and environmental allergies, chronic fatigue, acute and chronic pain, fibromyalgia, traumatic brain injury, weight loss, sports injury and pediatric care. For a list of other conditions that Dr. Nerman treats click here. Dr. Nerman is the exclusive provider of IgG Food Allergy/Sensitivity Blood Testing in Jerusalem. Find out more information about our Food Allergy/Sensitivity Test. To book an appointment to see whether this test might be right for you click here. Naturopathic Medicine is a form of primary health care that blends modern scientific knowledge with traditional and natural forms of medicine. Dr. Nerman has a strong desire to help you find the root cause of your illness and treat it according to the Principles of Naturopathic Medicine. Dr. Nerman applies individualized treatment and prevention focused on natural therapies including: acupuncture and traditional Oriental medicine, botanical medicine, physical medicine, chiropractic, diet and nutrition, homeopathy, lifestyle counseling and more. Join the Dr. Anders Nerman community! Get instant access to our FREE "Natural Health" newsletter.